Searching begins with a series of pictures and videos being uploaded onto an early 2000’s Windows computer, the kind I remember playing computer games on in the basement. In the opening alone, we observe the evolution of modern technology through the eyes of David Kim (John Cho) and his family. His daughter Margot grows up via photos and piano lessons posted onto a very primitive version of YouTube. Multiple folders document her growth from grade school into high school. And a collection of tabs, videos and Calendar app notes reveal the tragedy of David’s wife Pamela, who gradually succumbed to cancer prior to the film’s central events. This intro, which heavily resembles the opening montage of Pixar’s Up, succeeds at using technology as a narrative device, rather than a blatant gimmick. 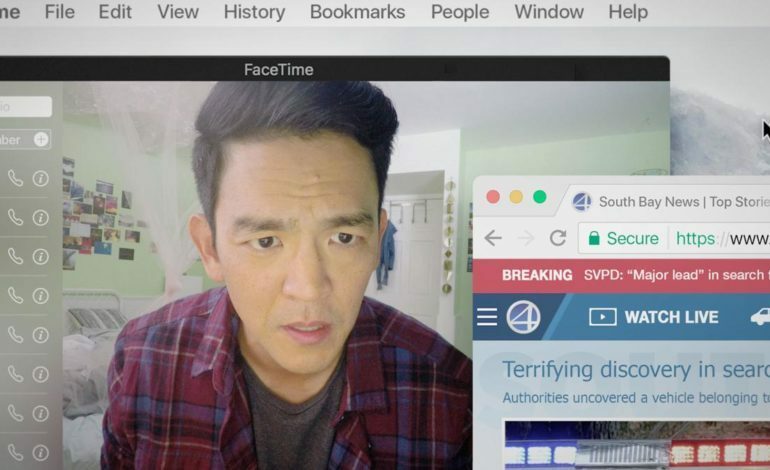 Compared to the Unfriended movies, which incorporated supernatural elements into their internet-centric storylines, Searching feels more grounded by comparison. It retains a voyeuristic look into modern internet culture, but does so in a way that feels believable and empathetic. It’s a thriller that doesn’t need demonic jump scares or excessive kill counts to garner suspense. The film’s inciting incident is every parent’s worst nightmare: the disappearance of their child. One night, 16-year old Margot (Michelle La) is FaceTiming her dad on the phone. The next day, she fails to respond to a single text. It’s only until later that day when David deduces that something isn’t right, reaching out to anyone who could provide insight on what happened. Unfortunately for him, however, Margot was somewhat reserved about her personal life. Eventually Margot’s disappearance in the Bay Area becomes part of an investigation, headed by Detective Rosemary Vick (Debra Messing). Yet our window into the case comes directly from David’s personal investigation, using his daughter’s laptop and phone contacts as a means of finding clues. Facebook, Gmail, Tumblr: each new tab unlocks a different door into Margot’s social media life. In a rather twisted way, David learns more about his daughter’s personal history by hacking into her computer history. 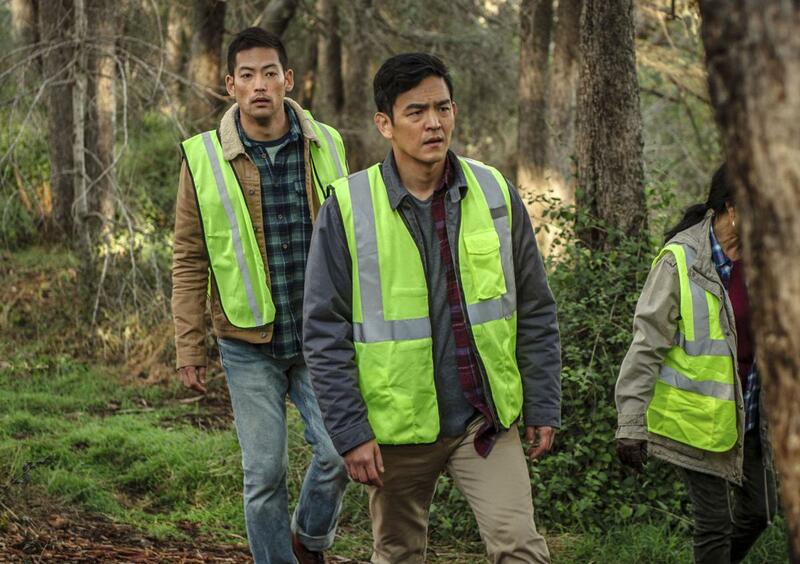 As a feature-length debut, director Aneesh Chaganty crafts a cyber-Hitchcockian narrative that understands both the thrills and perils of our digital age. 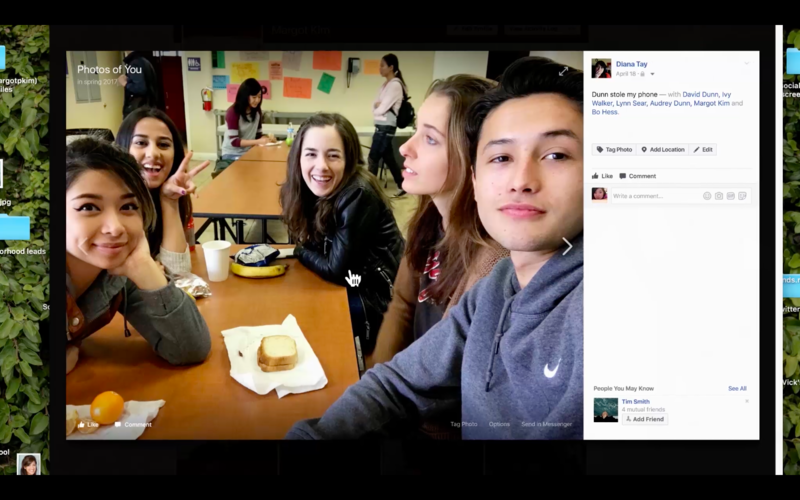 Despite the occasional dramatic close-up, the film retains a clever usage of multitasking tabs, news clips, and cameras to make us think this all takes place on individual computers. It’s a place where webcams connections feel easier than direct confrontation, yet offers enough recorded information to piece together the events that transpired. Even our fascination with scandals on social media is addressed, with one montage showing Margot’s name trending on Twitter as the case gains mainstream traction. The majority of these posts, however, are done out of personal gratification than genuine concern, as seen by multiple characters “grieving” over her disappearance despite previously admitting how little they interacted with her. Narrative-wise, Searching doesn’t craft some convoluted rationale behind Margot’s disappearance, which might feel too convenient for some viewers once the inevitable “big twists” are revealed. The way I see it, however, better to keep the premise simple than embrace the haunted lunacy of Unfriended. This is helped by Cho’s performance as David, whose ingenuity at uncovering the film’s overarching mystery never hinders his status as a concerned father. There’s never a moment where his acting feels over the top or excessive- you understand exactly what this man is going through. No matter how many secrets he uncovers, David’s love and concern for his daughter remains strong, and that’s something any parent can relate to. Searching takes a seemingly cliché premise and, through impressive technical presentation and compelling performances, elevate it into a stand-out thriller. Much like Hitchcock’s Rear Window, it invokes suspense and emotion through voyeurism as more online “evidence” is revealed to both protagonist and viewer. And, more importantly, it proves that the “laptop perspective” movie can be more than just a gimmick when done correctly. I’d rank Searching amongst the biggest surprise hits of 2018.